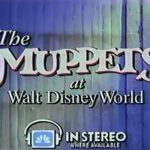 This NBC special, which aired on May 5, 1990 is one of the four prime time shows we discuss in episode 30 of the RetroWDW Podcast. This program turned out to be the last Muppets special that Henson would work on as he passed away just 10 after its airing on May 16. We stumbled upon a relatively clean copy of the special and decided to improve it bit by removing the interlacing, repair the chroma and colors. 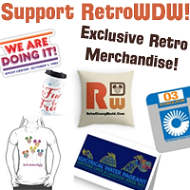 There are some wonderful scenes all around WDW including EPCOT Center, Frontierland before Splash Mountain, a very young Disney-MGM Studios and even a special behind the scenes look at the laundry system of WDW, courtesy of Gonzo and Camilla! Sit back and relax…let the early 90’s and it’s fluorescent hues on t-shirts take you back nearly 30 years when the Muppets first infiltrated the vacation kingdom of the world! Update 4/4/2019: A new source video was located on VHS and subsequently remastered! The updated video below is the best quality available!